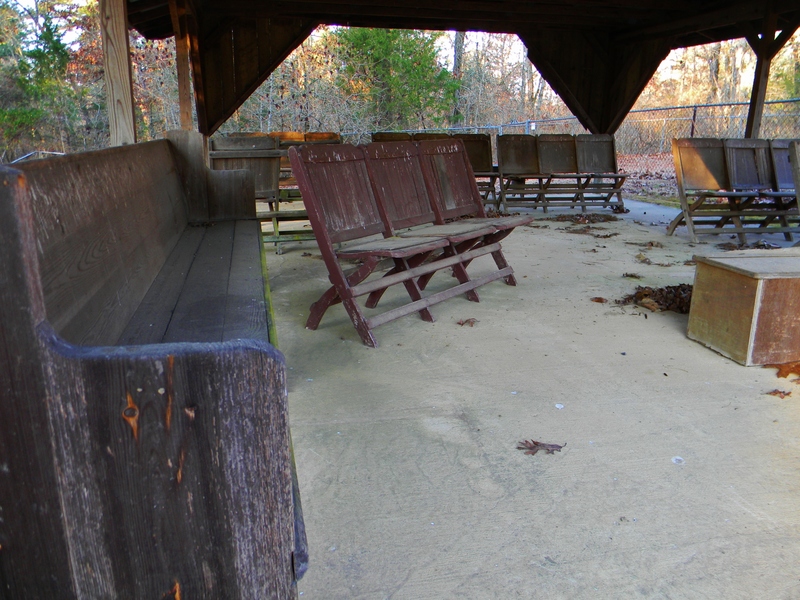 Goat Bluff Cemetery, Hot Springs, Arkansas – I Dig Graves! The drive down a long, rough gravel road was worth it to get to this one. 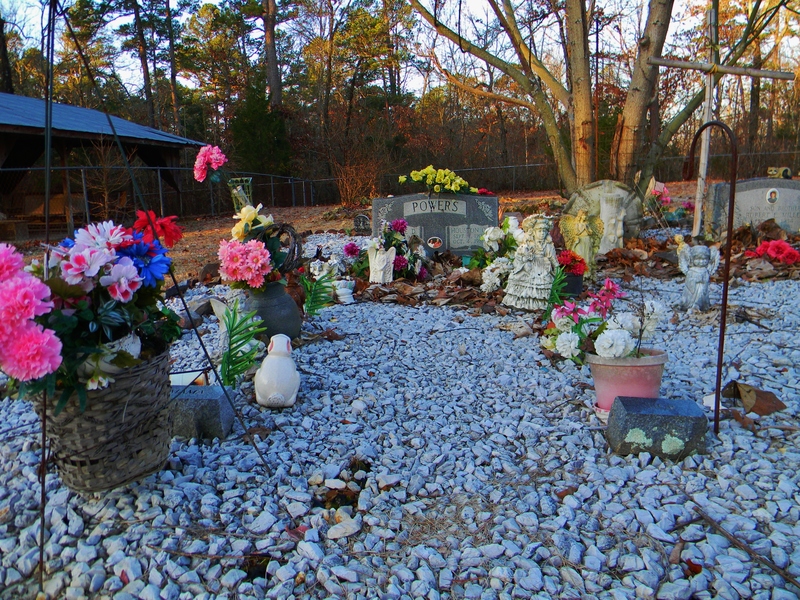 I featured this little cemetery near Hot Springs, Arkansas last month just because I loved the name. I didn’t find any clues there as to how it got its name, but I did find grave sites that were just as intriguing. 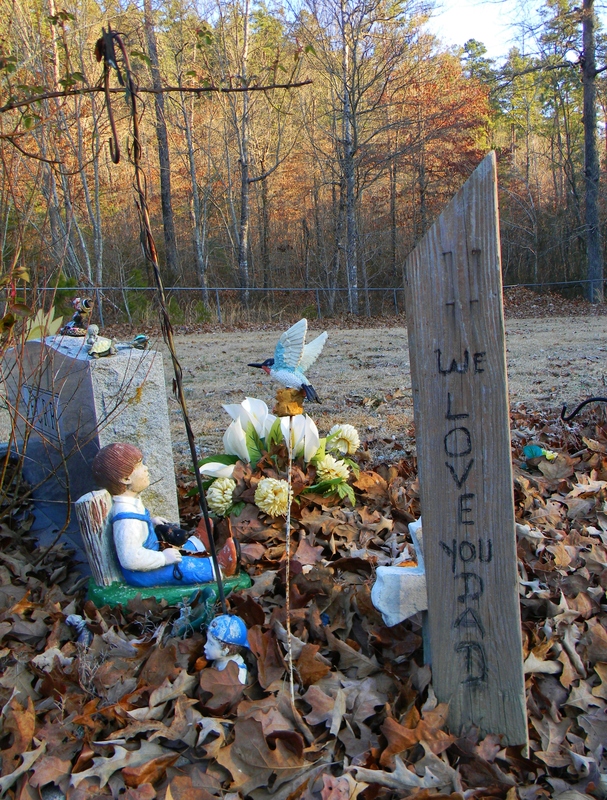 The graves at Goat Bluff said as much about the community of people left behind as they did about those they memorialize. 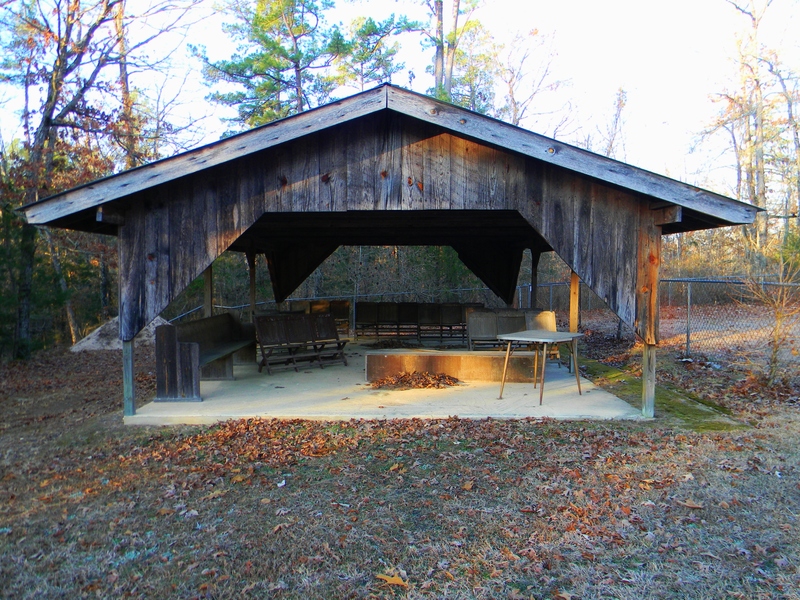 Can’t you just imagine the funeral services held in this shelter? I think it still gets used, don’t you? A favorite haunt of mine. 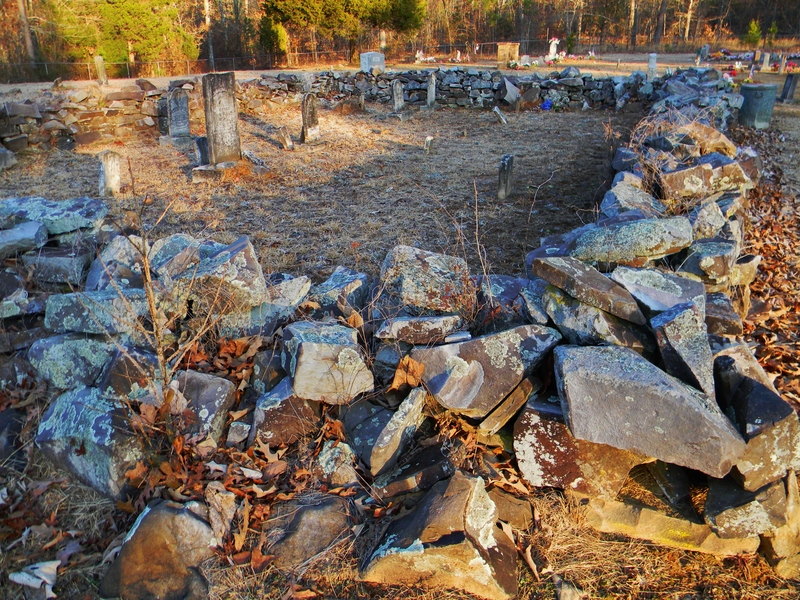 The name is simple as the cemetery is in a bluff called Goat Bluff. The people were simple as well. Most of the stones until recently are uninscribed local rock probably dug up during the burial. Religion & family were very important to them but they were very poor. Thanks for the background info! When I spotted the sign, I pulled off the highway, backed up and had to see where the road up the hill ended. It’s nice to learn more about the place. It has a peaceful vibe that matches its history.